The Hillsboro Indians dropped out of the most recent AP Poll for Ohio High School Football after climbing to 16th in the poll a week ago. The Indians suffered their first loss of the season at home on Friday when they fell to Chillicothe 36-30. The Paint Valley Bearcats moved into 11th in Division VI after beating Unioto on Friday 26-21 to improve their record to 6-0 on the year. Others receiving 12 or more points: Cincinnati Moeller 25. Euclid 22. Cleveland St. Ignatius 18. Hilliard Davidson 17. Others receiving 12 or more points: Barberton 35. Dresden Tri-Valley 34. Cincinnati Winton Woods 28. Garfield Heights 14. Olmsted Falls 12. Others receiving 12 or more points: Columbus Eastmoor Academy 25. Granville 23. Sandusky 20. Norwalk 14. Alliance Marlington 12. Others receiving 12 or more points: Poland Seminary 32. Girard 17. Cincinnati Indian Hill 14. 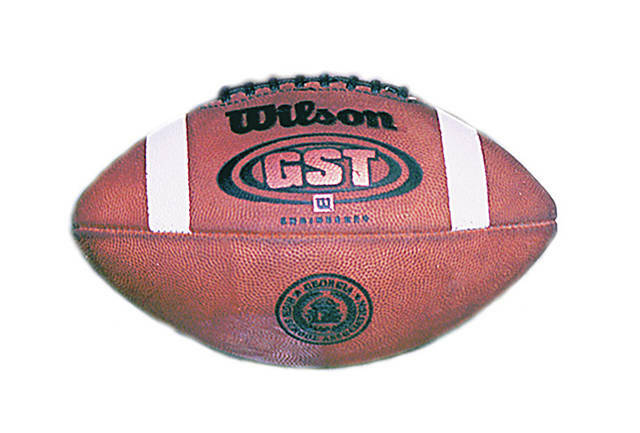 Others receiving 12 or more points: West Lafayette Ridgewood 36. Akron Manchester 22. Wickliffe 21. Portsmouth West 15. Orrville 13. Others receiving 12 or more points: Bainbridge Paint Valley 26. Beverly Fort Frye 21. Sugarcreek Garaway 19. Creston Norwayne 15. St. Henry 14. Columbia Station Columbia 13. Others receiving 12 or more points: Leipsic 26. Convoy Crestview 19. Cleveland Cuyahoga Heights 15. Youngstown Christian (1) 15. Miami Valley Christian Academy 13. Windham 12.